Mistake #1: Assume all metal roofs are the same. They are NOT. They vary by metal type, thickness of metal, finish, and profile. Metal roofs come in more shapes, sizes, types, finishes, thicknesses, and those differences can affect performance, lifespan, durability and price. Mistake #2: Assume all roofers know about metal roofing. This is simply not true. While most roofers and roof contractors claim to be able to install ANY roof - including metal - the fact of the matter is that most of them don't have much experience with metal roofing systems. Since composition shingles are the most common roofing material by a wide margin (no coincidence they're the cheapest by a wide margin! 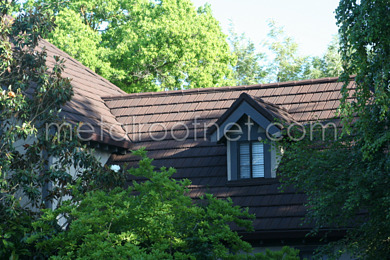 ), that is the product with which most roofers are experienced. I can tell you from many years of first-hand experience with the finished jobs that there is a GREAT difference between the finished job of an experienced and properly trained metal roof specialist and that of the average "roofer." If you're going to hire someone to install your carefully selected roof, make every effort to make certain that they have years of sheet metal practical experience. You'll be sorry if you don't. Mistake #3 Buy the wrong metal roof for your application. As good as metal roofs can be, they must be matched to the job. For example, while metal roofs can be excellent in snow country, the wrong metal roof can "hook" moving snow and ice and cause damage, while a properly chosen and executed metal roof will shed snow and ice without damage. Similarly, there are many metal roof materials that work well in locations near salt water, but choosing the wrong base metal and premature orrosion can result, dramatically reducing the life span of the roof. Mistake #4: Buy a metal roof based on price alone. alone, the same applies to metal roofing materials. There's a reason one metal roof is cheaper than another, and it's usually because the material is thinner, the metal is cheaper (and less corrosion resistant), the finish is poor or the profile is weak. To ensure you get good value for the money you're spending, make sure you're spending enough to get a metal roof that will do the job you're expecting. Mistake #5: Buy without consulting a metal roof specialist. Just like any business, there are people who know their stuff thanks to years of working in the industry. Those people know how to make the critical judgment calls that ensure the right metal roof is chosen for your job. And the reason they know is that they had a front-row seat to BAD jobs! Experts are experts because they've gone through many, many projects. With luck you'll only buy one metal roof - make sure you use an expert to help you select the right one. Want to know more? Visit our Resources page for useful downloads, like our free re-roofing guide and helpful comparison sheets.